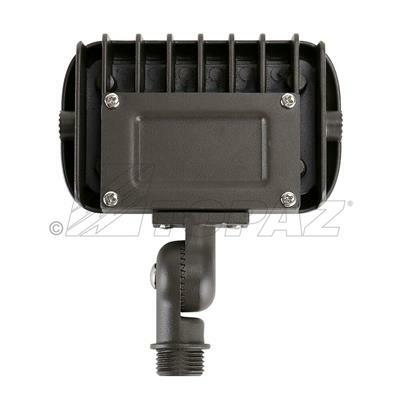 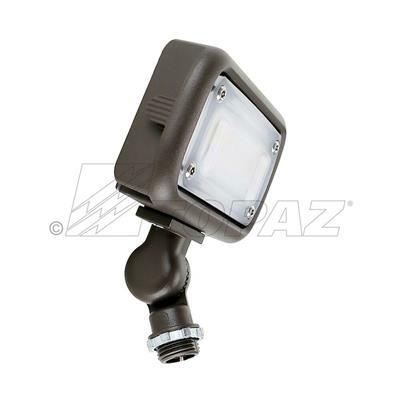 Topaz’s 15W LED Small Flood Light with 1,500 lumens features a low-profile housing design, uniform illumination and long-life span. 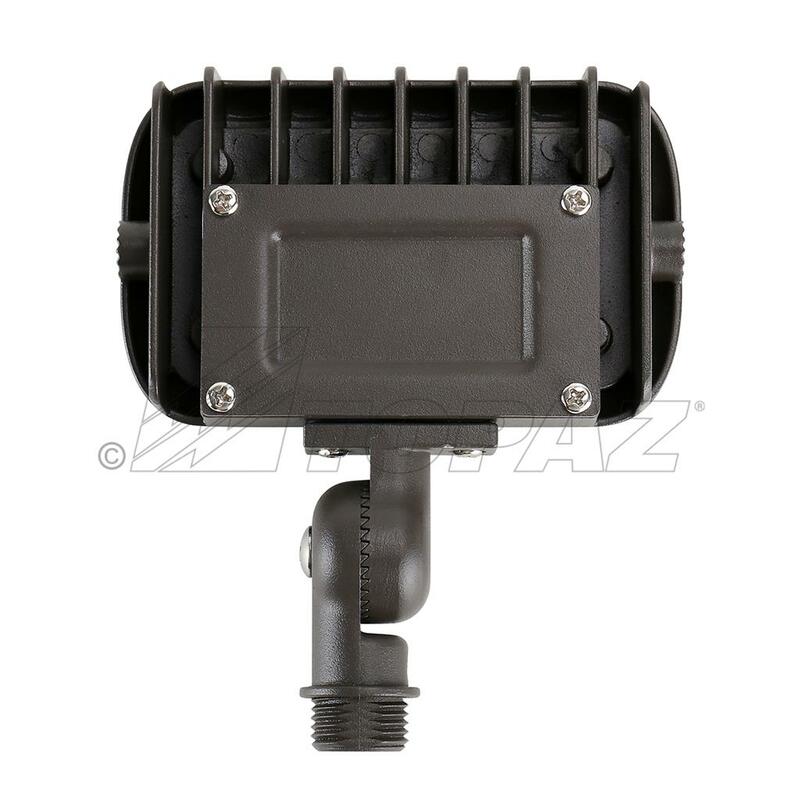 This fixture comes with a knuckle mount and is easy to install. 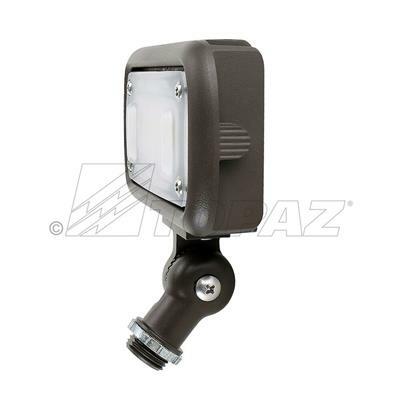 The housing is made of aluminum die cast with a powder coat finish, and includes stainless steel hardware, and an impact resistant lens. 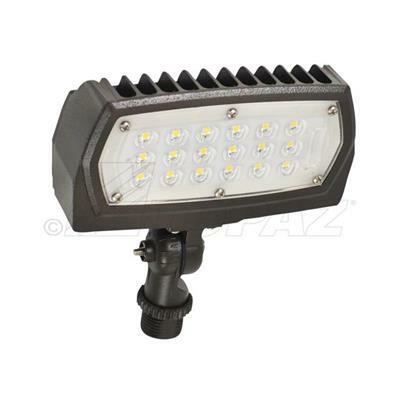 NEMA distribution of 7H x 7V offers a wide light distribution, making this a great choice for illuminating small signs and building façades, monuments, pedestrian pathways and landscaping.